We live in times of social, mental and environmental crisis. Can we learn to listen better to voices that escape the usual registers of meaning? Can doing so help us address these multiple ecological crises? The contributions to this book search for more sustainable, creative, and empowering relationships with the non-human and more-than-human world. 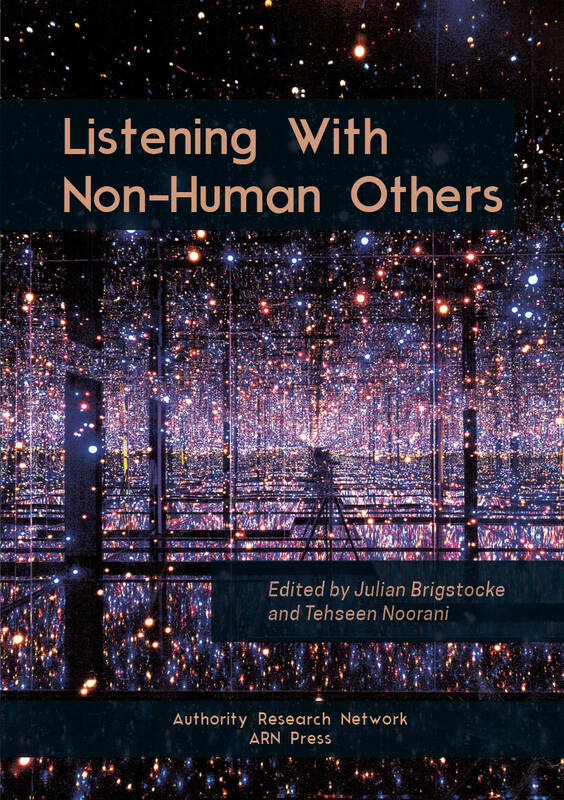 The extensively illustrated collection of essays, stories, songs, drawings, and colour photographs explores creative ways of listening with the materials, energies and vitality of non-human life. Drawing on poetry, political activism, art, and academic research, the essays search for new ways of inhabiting a damaged world. 184 pages, colour. Published by ARN Press, December 2016. Download the e-book free of charge. To order a hard copy for £4.00 (approx. US $4.85) click the "Buy Now" button below. Shipping to UK or USA is £1.50 for the first book and £0.50 for each additional book. Please contact us for shipping to other countries.